Doooooo it! You will use it all the time, promise. Loving these easy crockpot recieps!! Maple whiskey + CAH = AMAZING. Next time you have maple whiskey, try mixing in some root beer – SO GOOD! 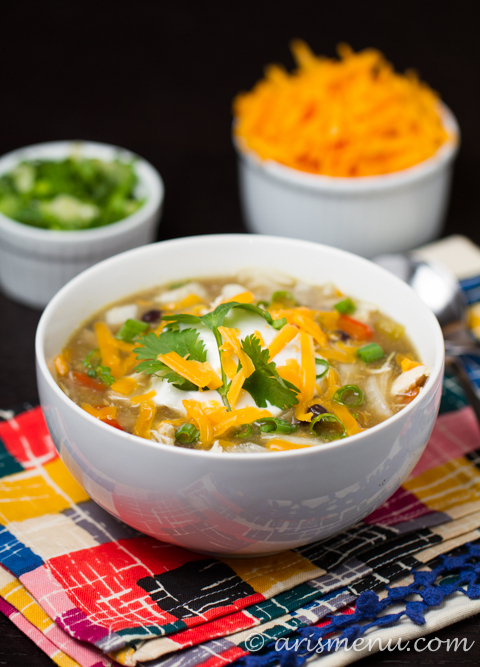 This soup is just amazing and I want it for dinner yesterday! Yum. 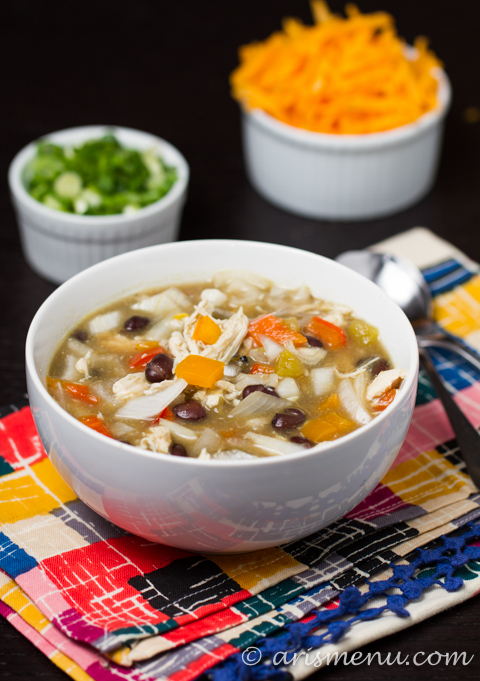 love crockpot soups! so easy! Mike and I will have to try this! We need to get better about using our crockpot! Once you start, you will be totally hooked! 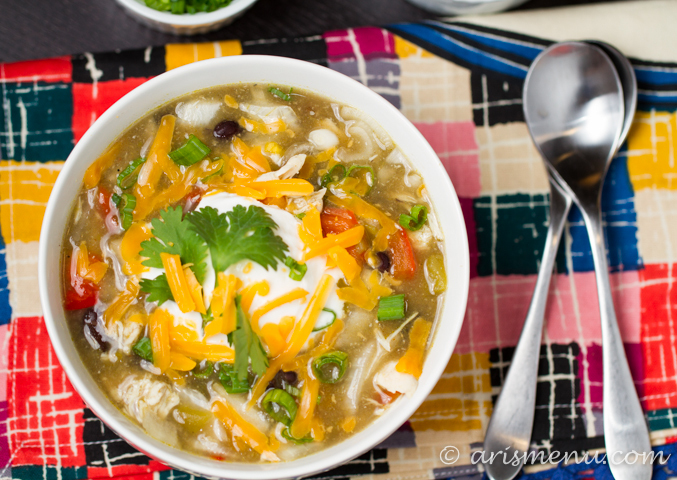 I love crockpot recipes and Mexican- yum and thanks! I even have multiple slow cookers- aren’t they the best for easy meals? Multiple slow cookers?? So smart! I totally overflowed mine the other day! Thank you so much!! This comment absolutely made my day! I’m so glad I’m not the only weirdo at the grocery store 😉 and very happy to hear you enjoyed the soup!! I would like to download this,it looks really good! your sauce looks green. 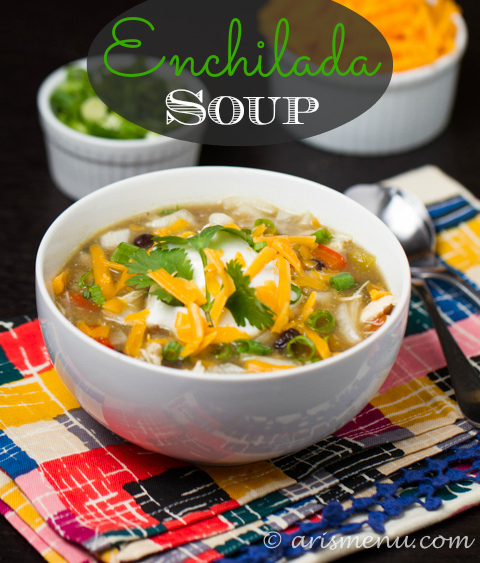 Are you using green enchilada sauce or red? And about how many servings does this make. I want to make it for my family of 6. Looks yummy! Mine is 6 quarts–I would definitely recommend halving the recipe! I don’t, but if it’s too thick for you, feel free! I’ve had great luck with this calculator. Enjoy! !